have high strength, adequate machinability, and improved stress corrosion control. Fine grain control results in good tool wear. Sidhartha Metal Company manufactures, supplies and exports 7075-T6 Aluminium Bars, Aluminium 7075-T6 flats as per customer’s needs. 7075-T6 Aluminum bars possess high static strength and is used in airframe structures and for highly stressed parts. 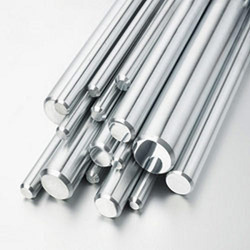 Aluminum 7075 bars are available in several types of tempers such as 7075-T6 aluminium bars, 7075-T651 aluminium bars, 7075-T73 aluminium bars, 7075-T7351 aluminium bars and aluminium 7075-T76 bars. Aluminium 7075 T6 Bars temper has the highest strength but lowest toughness and resistance to stress-corrosion cracking. Since toughness decreases with a decrease in temperature, the 7075-T6 aluminum bars temper is not generally recommended for cryogenic applications. 7075-T6 aluminum bars are high strength alloy originally developed for aircraft and aerospace applications, often referred to as “aircraft grade”. 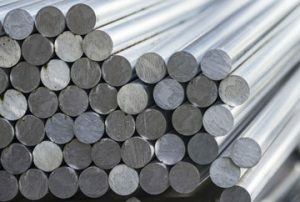 The main alloy ingredients of zinc and copper make 7075 one of the highest strength aluminum alloys available. 7075 in the T6 temper is stronger than most of the mild steels. 7075 is considered to have good machinability, good corrosion resistance but is not good for welding. 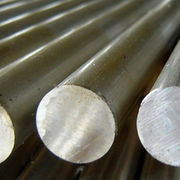 Aluminium Alloy 7075 is available in Aluminium 7075-T6 bars and Aluminium 7075-T651 bars condition in round bar, square bar, hex bar & aluminium flat bar. Commercial Aircraft Components and Defensive Equipment.